The musical phenomenon, Hamilton is sweeping the country with its refreshing take on the story of one of America’s youngest Founding Fathers, our country’s first Treasury Secretary, and the head on the United States ten-dollar bill ($10). 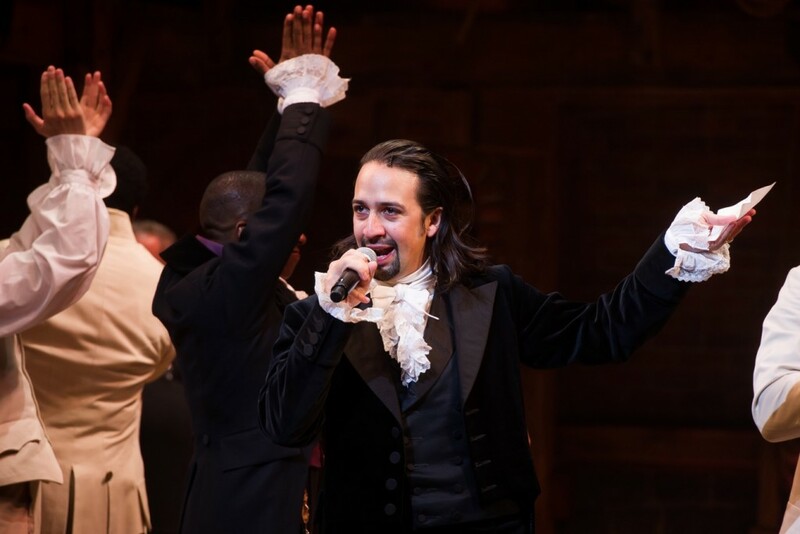 Its creator, writer and lead actor, Lin-Manuel Miranda, depicts the historical accounts of Alexander Hamilton through a modern day lens; using the raw energy and prose of urban, contemporary rap and hip hop as its foundation. Outstanding mini-portrait of Hamilton’s biggest rival, Aaron Burr, by @Danielledejesus1. Loving the creative use of Hammy’s ten dollar bill as the medium. Meet the Hamiltons! They’re all there and looking cuter than ever, thanks to @sakuradrawing. @JoeBowen brings us another awesome cartoon depiction of a beautiful scene from the play. Shuyler Babes, indeed! And this babe, @Joviellety, definitely put in the work to show it ;). Great color and line work of the great Hamilton by maskedfangirl.tumblr.com; so vibrant and powerful. Totally agree with Christinawaldsketches.tumblr.com on this one. The soundtrack DEFINITELY needs a warning label for its extremely potent addictive qualities. But so does your artwork! If you are lucky enough to be in New York or surrounding areas in 2016 and want to catch the critically acclaimed musical live in person, head over to Ticketmaster for a full list of show times.